8Rental – supplier that establishes reliable relationships with passengers through provided high-end service with chauffeurs. More people require more new directions of transportation, due to this 8Rental’s target to afford clients most popular destinations with drivers all over Europe. Hire a car with driver in Budapest & discover new locations with our professional chauffeurs. Rely on 8Rental’s service & put away all your worries. 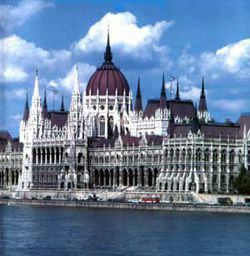 Budapest is Hungary's capital. The city is situated on the banks of the Danube river. 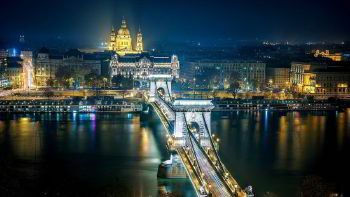 Located in Central Europe, Budapest known as 'Queen of the Danube'. The population of the city - 1.75 million inhabitants. Approximately 2 700 thousand tourists visit Hungarian capital every year making hire a car with driver in Budapest service necessary & useful. Budapest University of Technology and Economics is among oldest institutes of technology worldwide. Budapest Ferenc Liszt International Airport, named in honor of the most famous Hungarian composer Franz Liszt, served 9.15 million passengers in 2014. The useful advice 8Rental can give - Hire a Car with Driver in Budapest & everything will become clear to you. Its Magnificent Neo-Gothic architecture style attracts people of whole planet for over 100 years. What about iconic Chain Bridge? The 3 75 meter long & 16 meter wide construction provides outstanding view and allows every person to feel something tremendous & incredible inside his heart. 8Rental’s car hire with chauffeur in Budapest offers an opportunity to capture amazing sights during Budapest visit. Make some notes to visit Fisherman's Bastion, amazing spot with panoramic view. Take a look at landmark buildings such as St Stephen's Basilica, the Academy of Sciences, Gresham Palace & more another attractive destinations. Travel to Margaret Island in case you’re tired of city's bustle, probably Islands will become a calm & peaceful place, covered by landscape parks. Whatever is on your itinerary with a hire a car with driver in Budapest from 8rental be sure to check it all off. Driving licenses are obligatory element that allows chauffeurs working in 8Rental’s team. 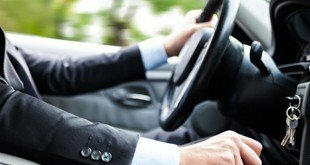 Every chauffeur is licensed & examined while hiring on work. Not everybody can afford luxury car hire with driver by 8Rental, especially for these cases company offer budget car hire with driver. Vehicle includes comfortable seats, classy design & convenient shelves. Business clients require business variant car hire with chauffeur, so 8Rental developed this option for them. Elegant inside & outside design will be admired by every business partner.